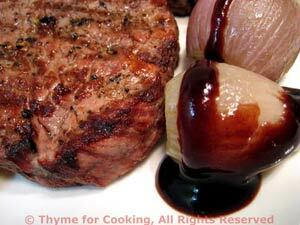 Thyme for Cooking Weekend Menu: Filet Mignon with Red Wine Reduction, easy recipes. We did the steak, shallots/garlic and potatoes/carrots on the barbecue grill. 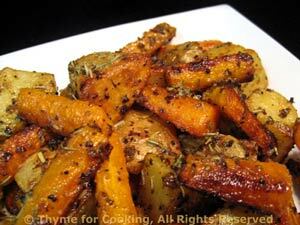 You can just as easily do them in the kitchen using the cook top and oven. If you can't find wild mushrooms use cremini, oyster, whatever looks good!